From the latest issue of the Russian journal 64 comes a remarkable study by top Russian composer, Oleg Pervakov. It took first prize in last year’s study composing competition, held to mark the 50th birthday of the Dutch study guru, Harold van der Heijden. In 64, Pervakov explains at length the genesis of this study; here, we will just admire the wonderful finished product. White has two extra pieces, but the black a-pawn is about to queen and White also has a rook hanging. 2… Kd5 3. Rf5+ wins easily. Again, the only check. The alternative 3. Re2+? fails after 3…Kd3! 4. Kxc5 Rh5+! 5. Kb4 a1=Q! 6. Bxa1 Rb5+! 7. Kxb5 stalemate! A nice mid-board stalemate. Once again, make a note of this position – something similar recurs soon. 3… Ke4! 4. Kxc5 a1=Q! 5. Bxa1 Rc6+! 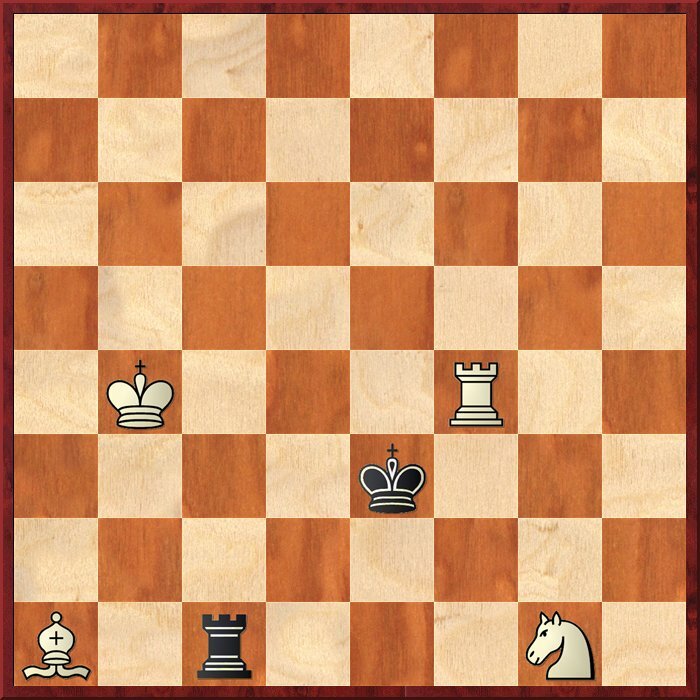 Now after 6.Kxc6, we would have an echo of the previous stalemate – the only difference is that the two kings and the white rook have each moved one square to the “north-east” – instead of being on the f1-a6 diagonal, they are on the h1-a8 diagonal. 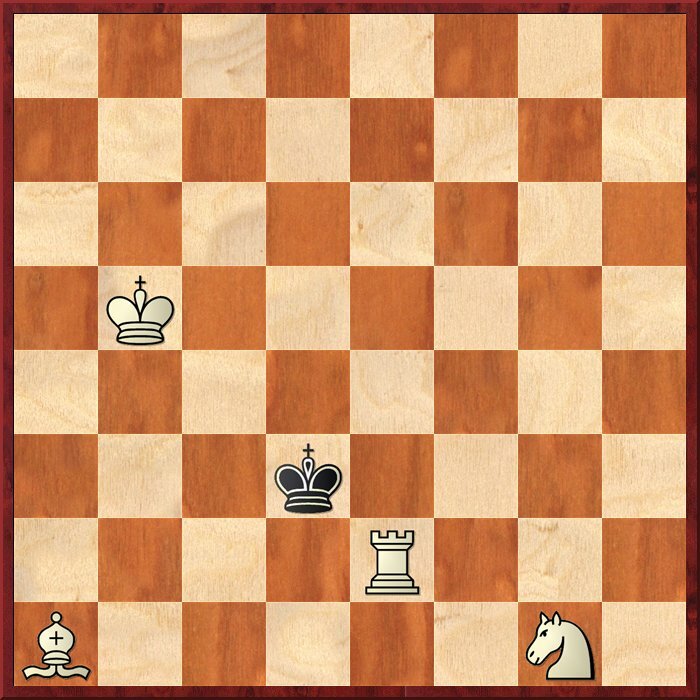 Chasing the king by 6… Rc5+ 7. Kb6 Rc6+ 8. 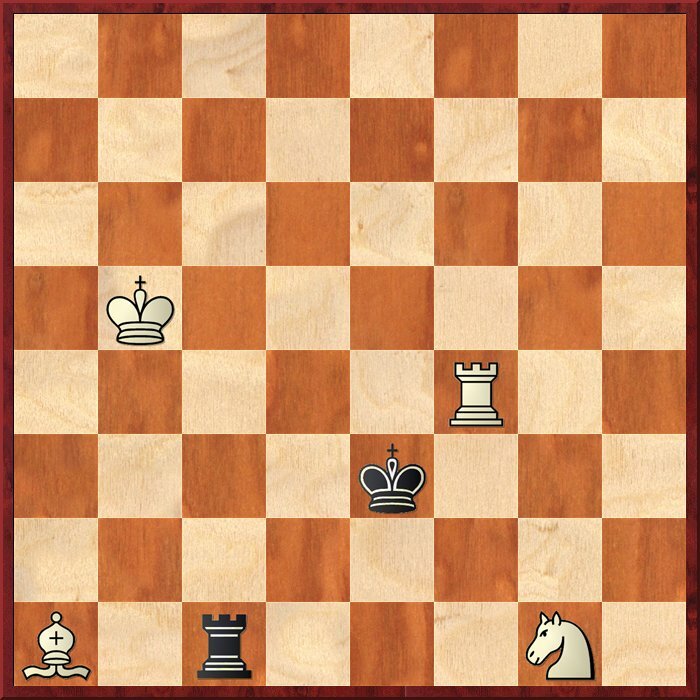 Kb7 comes to nothing, since now the BK has access to d5, so a further rook check on c7 or b6 could just be captured. 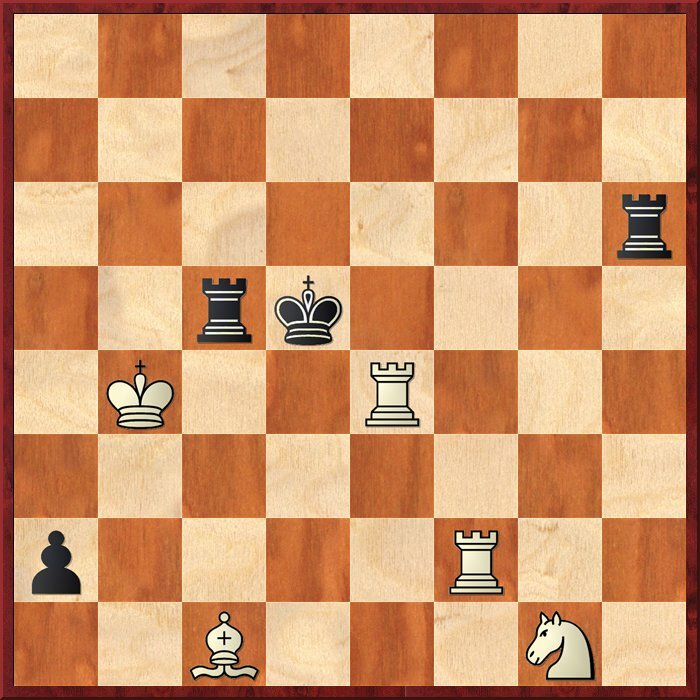 Black would therefore have to play 8…Rc1, which comes to the same thing as the game. Compare this diagram with that in the note to 1.Re5+?. 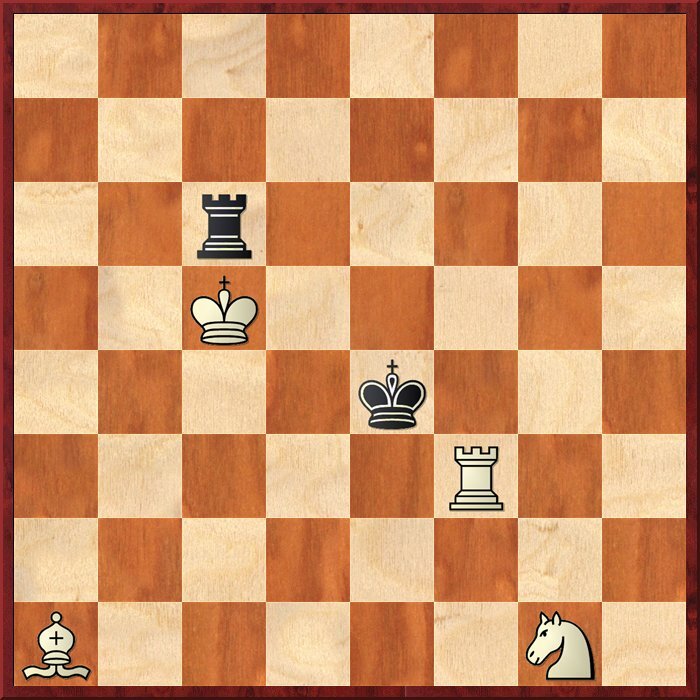 The only difference is that the white king is now on b5, instead of b4. But that makes all the difference! And this is why – with the WK on b4, this is impossible, of course. A magnificent tour de force by Pervakov, and a pretty nice birthday present to receive, don’t you think?